Designed by Aardwolf specifically for its range of Aardwolf lifting clamps. 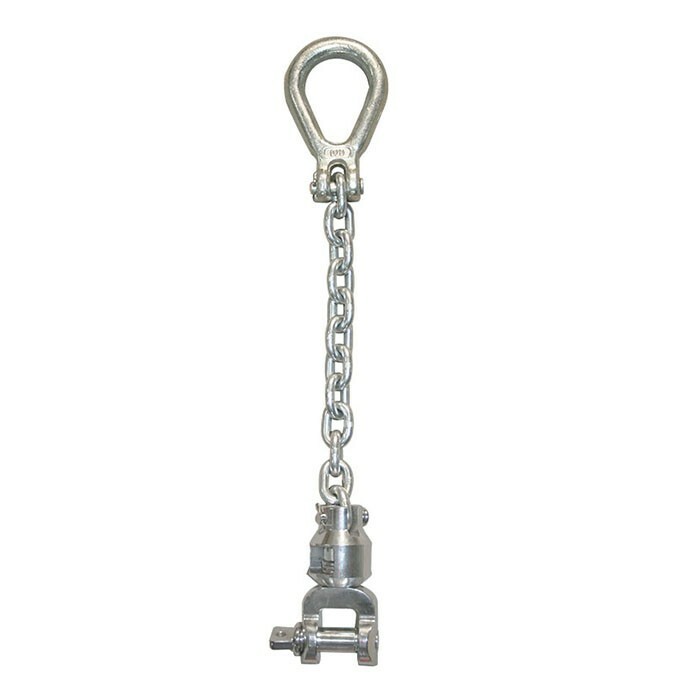 Forged from high grade aluminium.Combination lifting lug, chain and Aardwolf swivel shackle. General: Designed by Aardwolf specifically for its range of Aardwolf lifting clamps. Forged from high grade aluminium.Combination lifting lug, chain and Aardwolf swivel shackle. Specifications: Weight - 1.4 kg (3 lbs) per one piece. Allows flex between the boom and load. Prevent slab breakage when traversing rough terrain. Package Dimensions: L.300 x W.170 x H.220mm. Net Weight: 1.4 Kgs. Gross Weight: 1.5 Kgs.